The development march continues in Sheepshead Bay. Brooklyn developer Yaacov Azrad filed plans with the city’s Department of Buildings on Friday for a mixed-use project with 105 residential units at 2450 Ocean Avenue. The 80,906-square-foot project would be seven stories tall and include a pool, a fitness center and a medical facility in addition to the residential units. Community space would take up 1,856 square feet of the building, while the remaining 79,051 square feet would be residential space. 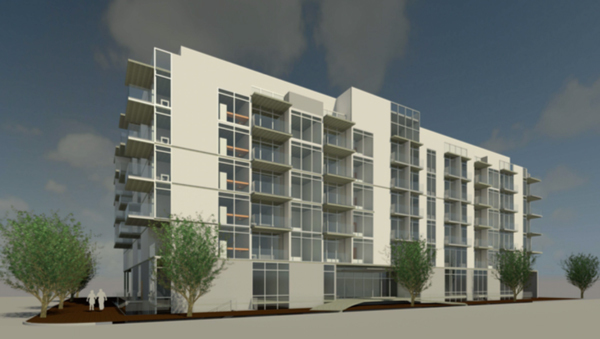 The top floor will have nine residential units, and floors two through six will have between 18 and 20 units apiece. An LLC managed by Azrad’s partner Eddie Yair purchased the land in February for $10.1 million. Several other major developments are also in the works at Sheepshead Bay, where land prices are still relatively inexpensive. Bentley Zhao’s New Empire Real Estate Development is planning a 56-unit condo project at 2128 Ocean Avenue with a targeted sellout of $43 million, and Muss Development has filed an offering plan for a 28-story condo project at 1501 Voorhies Avenue, which has a projected sellout of $63.2 million.